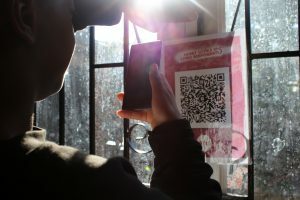 In today’s guest blog as part of #YoungMoney17, MyBnk, a UK charity delivering financial and enterprise education to 7-25 year olds, share how they brought their expert-led intervention workshops to life by incorporating digital skills into their programmes. To feature your own blog, contact joe.cockerline@moneyadviceservice.org.uk. A lack of digital and money management skills is costing the UK nearly £70bn a year and being digitally capable is worth an average £744 a year for each individual. For young people, the digital space is their ecosystem, but, they do not always know how to positively leverage their natural tech skills or stay safe online – they are twice as likely to fall for online bank scams as their parents, according to the British Banking Association. This firewall is particularly relevant for young people who are making difficult transitions to independent living, and likely to be receiving benefits – Universal Credit is handled almost completely online. delivered to vulnerable groups such as those leaving care, are unemployed, ex-offenders or living in hostels. Go-On’s expertise helped us add digital layers to these areas so young people could manage bills, payments and benefits online, mainly through comparison sites and budgeting apps. The London Metropolitan Police advised us regarding scams. We then created new modules with our Youth Advisory Panel and retrained staff. Activities such as the simple task of booking the components of a holiday showed young people how to leverage digital tools, spot bogus websites and understand insurance. Resources, such as an online bank simulator, allowed young people to log into their ‘accounts’, navigate the system, recognise terminology and make bill payments. Young people could demonstrate utility and bank account savings via comparison sites, research how to turn their trash into cash, and furnish their first home for free via listing sites. HMRC resources and free credit scoring sites allowed us to examine tax, safe borrowing and grasp the true consequences of debt. Standout success stories include 22-year-old single mother Juanita, who could not get a bank account because of her past association with financial fraud. She was guided through alternative online-saving schemes and also saves £78 per year on her gas bill through comparison sites. Raheem, 17, never used his bank account because he felt “scared of the banks and technology” and lacked confidence using budgeting and savings tools. He is now actively using both services to manage his money. Another participant was concerned about their travel costs to their new job and was able to find a bicycle which was being given away for free on Freecycle – they picked it up after our workshop. These projects work best when young people can implement their learnings immediately to debunk misconceptions and form new, positive habits. Integrating digital skills into financial education has allowed us to effectively help those most vulnerable young people who find themselves waiting on payday or hammered by late fees. It is a must for any money skills scheme. Sharan Jaswal, Head of Education, MyBnk.